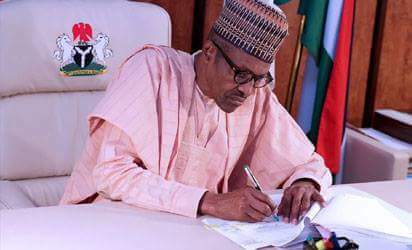 By Anthony Ogbonna President Muhammadu Buhari, Wednesday, approved the payment of pension for police officers who were granted presidential pardon in 2000 after serving in the defunct Biafran Police during the 30 months Nigeria Civil war. The personnel who were granted presidential pardoned by the then President Olusegun Obasanjo have till now not received their pension. However, a statement released by the Pension Transitional Arrangement Directorate (PTAD) on Wednesday said President Buhari has approved the payment of pension for the personnel. It said a total of 162 officers will be payrolled while 57 Next of Kin who have also not been paid their death benefits will be paid in the first batch.